Do you recall the little brown radio that Joshua and Dancia listen to in Null Pointer? I did some poking around on YouTube and found some videos of the venerable rig in action. If you’re curious, give them a listen. True fact – I used to own a clock radio just like that. Gawd I’m old. 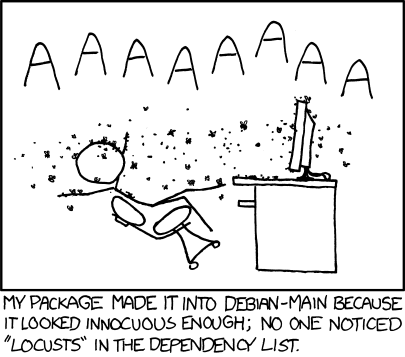 XKCD is by far may favorite geeky web comic.